Welcome in project Listen to the Silence. We give you some regards from Germany, Storkow. There are 15 participants in the project and 6 interpreters from Germany, Malta and Czech Republic. Our aim is to get know each other cultures and connect the world of deaf and hearing people. We will be here for one week. We are looking forward to the experience we will get. We introduced each other, played games, we were in the forest for the outside activities, afternoon we learnt basics of sign language in smaller groups (national groups on purpose to learn national sign language). We began the day with the basics of sign language and repeated yesterday experiences. Here we are! 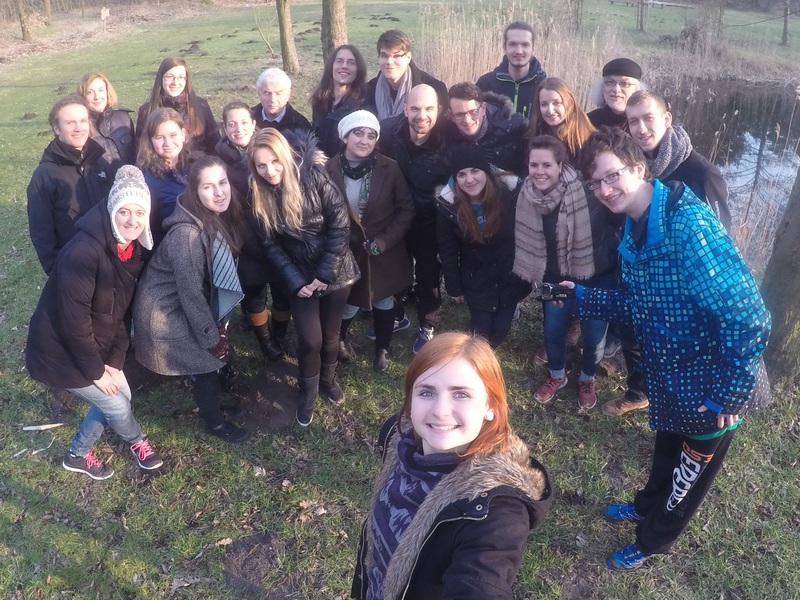 Our project started: this is our group in Hirschluch on the first day. Now you will read some news every day, find some photos, videos in sign language and whatever our participants want to share. Visit our blog daily and follow our activities!